Dominic Paul McGuire CBE (1903-1978) was born at Peterborough. He met Frances Margaret Cheadleat the University of Adelaide and they married in 1927 and lived in England until 1932. In 1937, during the Spanish Civil War, he travelled to Spain as a correspondent with the Catholic Herald (London) and his articles from this time were published in Australian Catholic newspapers. Paul served in the Royal Australian Navy Volunteer Reserve from 1942 until 1945 and performed intelligence duties in Melbourne as deputy director of psychological warfare, Far Eastern Liaison Office and reached the rank of Commander. During this time he made 400 short wave radio broadcasts containing news and information for South East Asia. After the war, he was an overseas correspondent for the Melbourne Argus and wrote many works of fiction, verse, literary criticism, history, travel and politics. He was a member of the Australian delegation to the United Nations General Assembly in 1953 and served as Australian Ambassador to Italy (1957-1959). Paul McGuire received papal honours and was also honoured by the Italian Government. A writer of more than 30 works of fiction, verse, history, travel and politics, Paul McGuire was particularly interested in ships and the sea. His book Westward the course, written to engage American interest in the Western Pacific, went to press the week Pearl Harbour was attacked, and was a best seller. For five years from 1954, he served as the Australian Minister (later Ambassador) to Italy. He was twice a member of the Australian delegation to the United Nations. Among his other achievements, Paul McGuire went to London as advisor to the Prime Minister for the Prime Minister's Conference of 1951, and represented the Australian Government at the Coronation of the Pope in 1959. He was president of the Good Neighbour Council of SA, and a founding member of the SA Branch of the Naval Historical Society. He died in Adelaide in 1978, aged 75. An entry in the Australian Dictionary of Biography ADBOnline gives further information. launch at the State Library in 1994. In 1939 Margaret was a member of the Australian delegation to the League of Nations and was decorated by the Italian Government and the Italian Navy for her diplomatic efforts in its cause. In South Australia Margaret dedicated much of her time to raising the awareness of the role played by women in our society and had a variety of voluntary roles directed towards greater recognition of the role played by women in the community. She served on numerous committees. She was one of the Trustees instrumental in developing the Pioneer Women's Memorial Garden, just south of the River Torrens on King William Road. She was part of a committee planning celebrations of the Centenary of South Australia in 1936 which led to the formation of a Royal Flying Doctor Service. Margaret McGuire also wrote on many subjects. 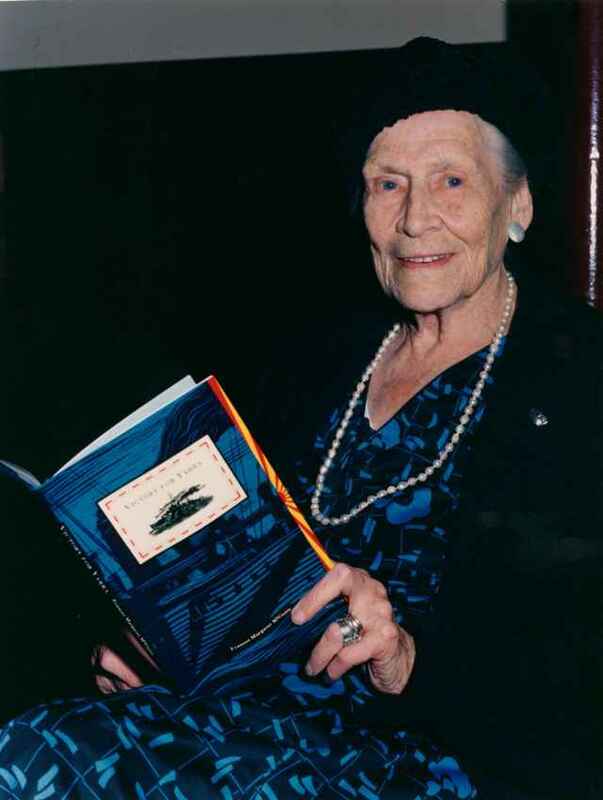 She wrote 12 books including an officially commissioned work The Royal Australian Navy in 1948, and a history of Australian theatre and a dramatic poem describing the battle between HMAS Yarra and the Japanese Squadron on 4 March 1942. Victory for Yarra was published in 1994. Margaret McGuire died in Adelaide the following year, aged 95. In 1979 Margaret McGuire gave the State Library a donation of $20,000 to establish a fund to support a maritime collection in her husband's name, followed by a further donation of $100,000 in 1995, enabling the development of the collection to be funded from interest on the capital. The Paul McGuire Maritime Library is a major component of the State Library's collection strengths in Ships and maritime history. Australia has, since its settlement in 1788, depended on sea transport for its trade with other countries. The State Library of South Australia has a particular interest in the literature of the sea and ships, and has built up a strong collection of books, magazines and maps on maritime matters. The Library also has several special collections of photographic material about shipping. More detail is provided in the Ships and maritime history Library Guide under the tab titled Images of ships and boats. In memory of her husband, the late Paul McGuire, Mrs F.M. McGuire donated to the Libraries Board of South Australia a considerable sum of money to establish a trust fund for the development of a special maritime library. The Paul McGuire Maritime Library was established in 1979 and contains publications from all over the world relating to the sea and shipping. This, together with its other shipping collections, makes the State Library one of the leading repositories of maritime information in the world. The Paul McGuire Maritime Library includes the Thomas Walter Hardy America's Cup Collection which was launched by Sir James Hardy OBE and the Walker Collection in memory of Commander Jefferson H. Walker D.S.O., R.A.N. You can establish what published material is in the Paul McGuire Library by undertaking a collection search on the State Library's catalogue. The Friends of the Paul McGuire Maritime Library is an incorporated association which was established in 1981 to support the Paul McGuire Maritime Library. Its regular newsletter, The Traverse Board advises Friends of meetings, additions to the Paul McGuire Maritime Library and other matters. The Patron is Sir James Hardy OBE. New members are always welcome. Further information is available from The Secretary or the Friends' website.